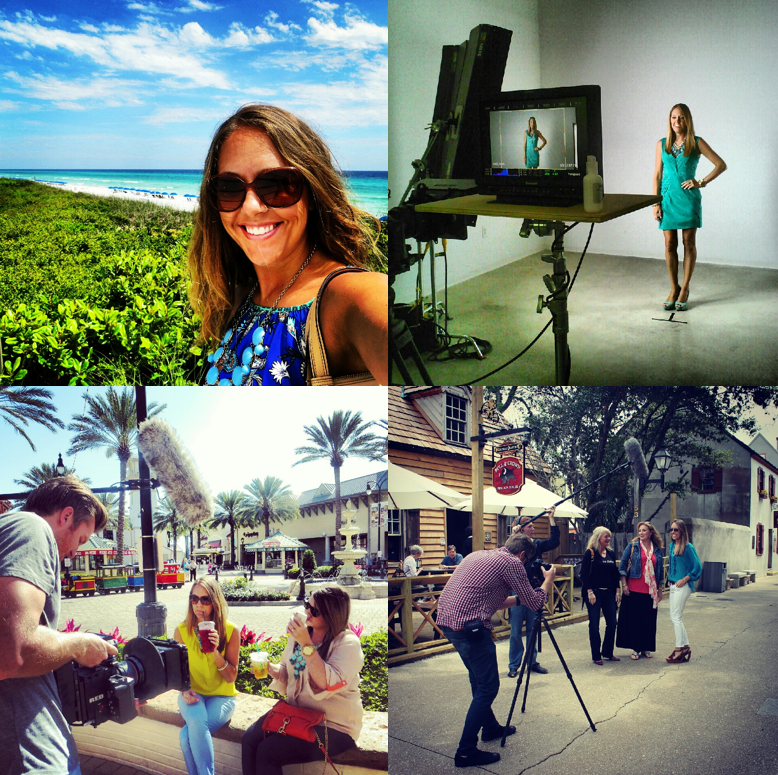 This was my last week as VISIT FLORIDA's Shopping Insider! After two years, more than 300 posts and articles, a handful of videos, and travel to every major city in the state, I am both sad and excited to be moving on. I have enjoyed this gig so much over the past two years, but as things with my own business have increasingly gotten busier and busier, I’ve had to cut back on some commitments including personal shopping, and now the Shopping Insider program. Which leads me to the subject of today’s post… what exactly is my career? As you may know, I lost my marketing job due to economy-related budget cuts two years ago and have been a full-time blogger/freelancer ever since. This is one of the questions I get the most often, the first being “how do bloggers make money?” which is the title of my presentation at Florida BlogCon this year (shameless plug: you can buy tickets here). The next question I hear most is “what does a typical week look like for you?” which I will be answering today. It may seem like a glamorous career from the outside: running a fashion website, being my own boss, working from home. I love my job and the flexibility - I can travel at a moment’s notice, and do my job from anywhere. But it’s honestly not all that glamorous when you drill down to the daily tasks! You can picture me at home in my pajamas working at my computer 7 days a week. I play dress up in my room and take pictures using the self-timer on my camera. I’m essentially a huge social media nerd, working mostly alone, and fashion is involved in maybe 20% of what I do. I feel incredibly blessed by my career, but sometimes I would love going back to a “normal” job, too! I miss the social aspect of working in an office, and having a reason to buy and wear work clothes. It’s a Catch-22, because I think working in an office would help with creativity and coming up with outfits for the blog (especially for you working ladies! ), but my schedule is already so overwhelming, I think it would be hard to maintain both. While I won’t count out an office job in the future, for now this is how my week is set up. I've always been a workaholic (straight A’s in high school and college, yo), so right now I put in 60-80 hours per week. In December I was working a lot more and feeling burnt out, so at the urging of my friends, I cut back and hired an assistant part-time. Between the tasks that are now off my plate thanks to my assistant (admin tasks and sponsorship emails), cutting back on activities (Shopping Insider) and working less on weekends – it has been a much, much better work life balance this spring/summer. It’s definitely a work in progress though! VISIT FLORIDA Shopping Insider duties = 20 hours per week - DONE! I’m always trying to manage my time better, and evaluate priorities. There are so many things I’d love to be doing more of, or doing better, and I seriously wish I could answer every reader question and help every person who asks with their closet! I would love that! Since I have an “extra” (that’s funny) 20 hours a week to spare now, it will be interesting deciding what to focus my time on next. I hope you enjoyed reading – let me know if you have questions, or suggestions for other post topics!